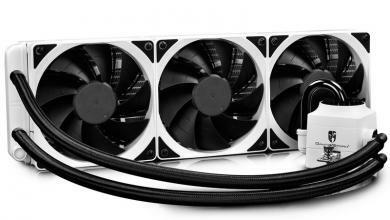 Scythe innovated the cooling market with it’s first Mugen CPU cooler in the past. 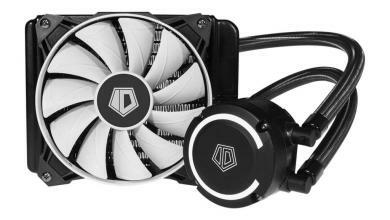 The cooling-expert is introducing the new Mugen MAX, aiming for users seeking maximum performance for their PC system. Mugen Max has received various optimizations, such as the re-designed heatsink for increased performance and the shifted base-plate for improved compatibility to memory modules. After releasing several compact mainstream models, Scythe now presents a real performance highlight. The performance increase of the Mugen MAX has been achieved by implementing a new heatsink-design and six highly efficient copper-heatpipes. Scythe has used an asymmetric layout for the hetasink, where the copper baseplate is slightly shifted. 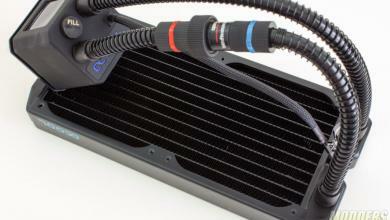 It allows the Mugen MAX to be used with RAM modules, which are equipped with very large heat-spreaders. 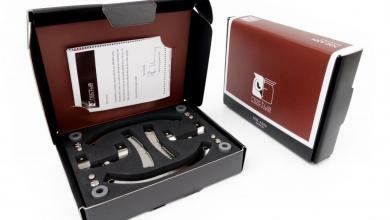 In addition, it is no longer necessary to remove the CPU cooler to access the memory modules. Scythe Mugen MAX stands out with its low weight of only 720 grams (25,40 oz, without fan) in a market segment, where heatsinks easily go beyond 1.000 grams. Further surprising is that the overall dimension 145 x 86 x 161 mm (5,71 x 3,39 x 6,34 inch, without fan) is only slightly exceeding the one from Mugen 4. 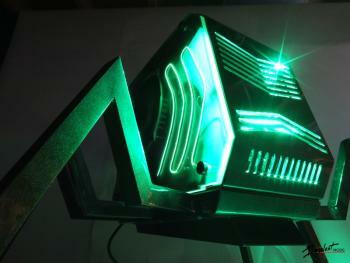 Hence assures, that Mugen MAX can be fitted into virtually every PC case available on the market. Scythe implemented the well-proven Three-dimensional Multiple Airflow Pass-Through Structure (T-M.A.P.S.) fin structure for its heatsink, which increases the airflow passing in between the fins. 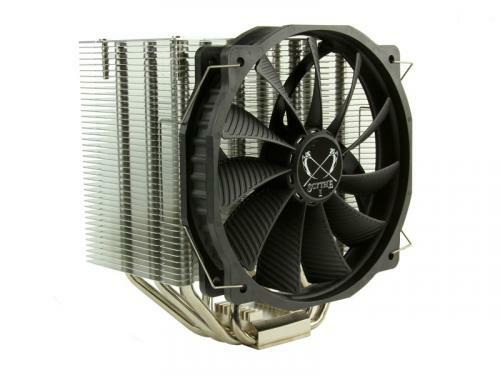 The distance between the fins has been increased to 2,6 millimeters (0,10 inch), resulting in reduced flow resistance and improved cooling performance at low fan speeds. 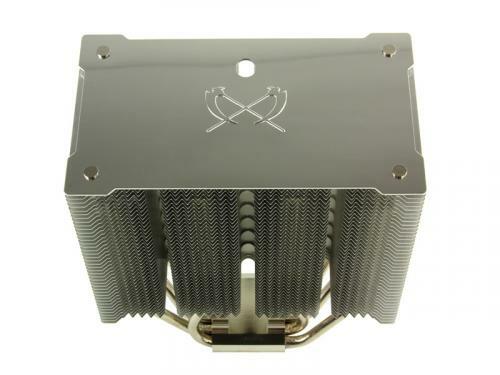 Almost every CPU cooler form Scythe has been supplied with an axial-fan, matching the designated purpose of the product. 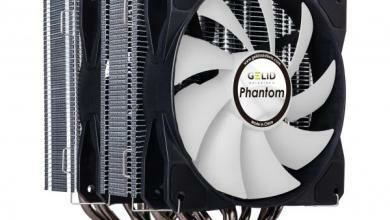 To match the wide purpose range of Mugen MAX, one 140-millimeter PWM model of the Glide Stream series has been bundled. Fan speed can be controlled conveniently by the PWM controller of the mainboard in a range from 500 to 1.300 RPM, which allows airflow between 63,5 and 165,1 m³/h (37,37 ~ 97,18 CFM). Hence allows it to operate virtually inaudible at 13 dBA at lowest speed or really silent at 30,7 dBA when running at maximum. Enthusiasts, seeking even higher performance are able to use the second fan clip set, which is supplied, to attach a second fan and create a “push-pull” constellation! Users can rely on the long time experience of Scythe when it comes to cooling performance as well as easy mounting systems. „Hyper Precision Mounting System“ (H.P.M.S.) is the latest and most reliable mounting mechanism provided by Scythe, which is featured by the new Mugen MAX as well. 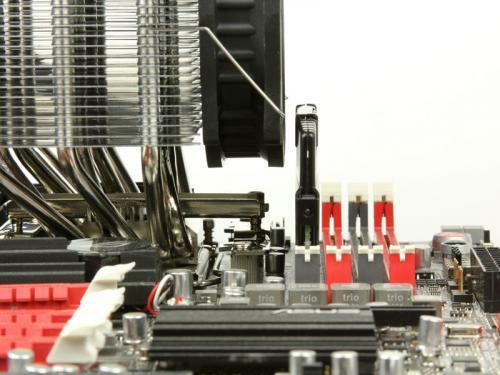 Additionally, it is no longer necessary to remove the whole motherboard in order to dismount the CPU cooler. New Mugen MAX supports latest Intel® motherboard sockets, such as LGA775, LGA 1150, LGA 1155, LGA 1156, including LGA 1366 and LGA 2011. The compatibility list includes all relevant AMD® sockets, featuring AM2, AM2+, AM3, AM3+, FM1 and FM2. All required mounting clips and screws, as well as a wrench, a multi-lingual manual and quality thermal grease are supplied in the package.